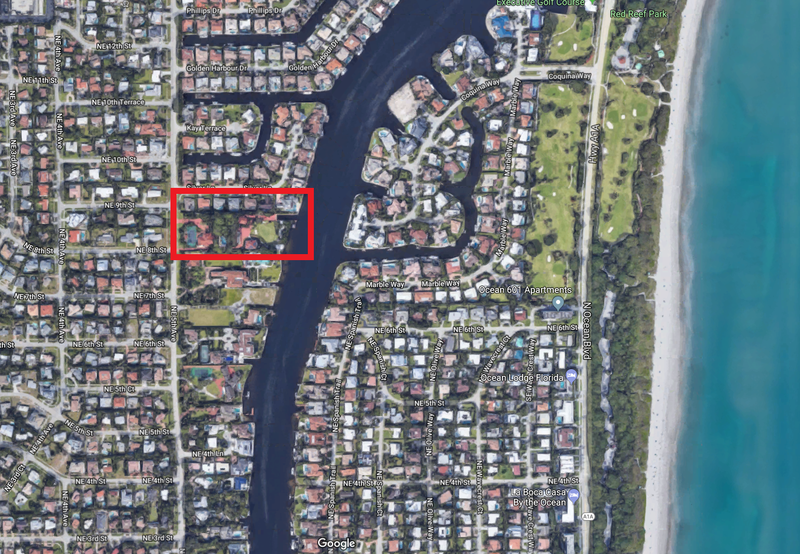 Located off of 5th Avenue in Boca Raton, Dingman Acres homes for sale are part of a wonderful waterfront community of about 8 single homes. It sits East of 5th Avenue on the West side of the intracoastal. Some lots are dry while other are waterfront. These are stately luxury properties with ample square footage and and private docks. These properties are coveted for their high end amenities and highly desirable location. On the South side of Dingman Acres, there is one unique and spectacular very large lot with dimensions: 220 X 702 X 658 X 228. Interested in learning more about homes for sale in Dingman Acres? Read more about available amenities in this community of or feel free to browse through Boca Raton MLS listings that feature Dingman Acres homes. In East Boca Raton, Dingman Acres homes are luxury properties that come fully equipped with an array of highly sought after amenities. Vaulted ceilings, walk-in closets, French doors and Roman tubs are some of the common interior features you'll find among these properties. These homes often have Mediterranean exteriors, covered balconies and fenced yards. Contact Jean-Luc Andriot today to learn more about how you can make a Dingman Acres home part of your new life! He'd be happy to tell you more about this community, arrange viewings and get you started on your way to finding a new Boca Raton home! Call 561-406-8880 to get started today.